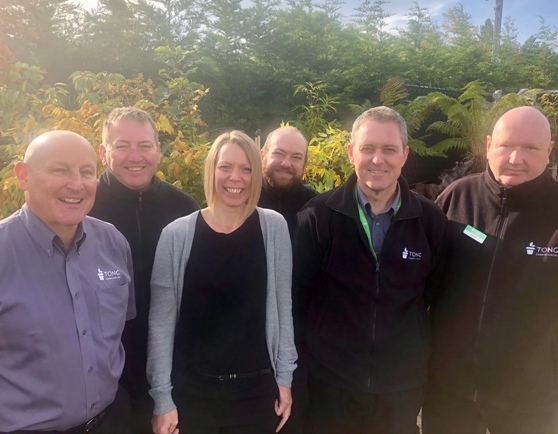 The management team at a Bradford garden centre has announced six new roles, all of which have been filled internally. Tong Garden Centre has created the new roles to support the next phase of growth and expansion within the business that includes a £3.5million investment in the Tong Lane site over the next three years. Former centre manager Andy Mears has been promoted to the newly created role of general manager and assumes responsibility for managing the entire site, property, warehousing, buildings, health and safety in addition to the retail team and shop floor. Supporting Andy Mears in the role of assistant general manager will be Andrew Tyers, promoted from food hall manager, and bringing a wealth of garden centre management experience to the position. The garden centre sees a new tier of management introduced with two positions created to lead all aspects of the retail team. Promoted to indoor manager is Dennis Keen with responsibility for garden sundries, giftware and the Food Hall as well as seasonal ranges including outdoor furniture and Christmas. His equivalent is outdoor manager Dave Clayforth, promoted from plant supervisor, to lead the plant team and oversee plants, pots, compost and landscaping. The business has also appointed Phil Hemmings, with over 10 years of garden retail experience, to the newly created role of garden sundries and Christmas buyer and Clair Spencer has been promoted to the new role of inventory controller responsible for stock control and management. In addition, there have been three internal promotions with James Tolson moving to sundries supervisor, Ann Smith to senior customer services advisor and James Beaumont to marketing assistant.